Garlic Prawns is really very delicious dish. It is very simple to make with less than 10 minutes. 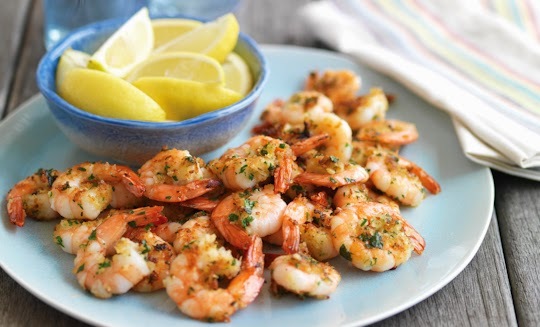 Here a very simple recipe to make this Garlic Prawns at home. To make this homemade spicy garlic prawns, Peel and devein prawns, leaving tail intact. Marinate the prawns with all ingredients except chopped parsley. Put prawns into microwave proof dish. Microwave on high for 5 minutes, stirring occasionally. Serve with crusty bread and lemon wedge in side.